Mum of Five Staying Sane: Merry Christmas from us all! What a fab Christmas Eve. Bowling, pizza, Christmas cake and family time. Merry Christmas from us all! What a fab Christmas Eve. Bowling, pizza, Christmas cake and family time. It's Christmas Eve. We have had a fab day today. Bowling with the family then back to Nanny and Grandad's house for pizza and a slice of Christmas cake courtesy of my brother. We watched 'Santa' fly overhead too! It's lovely to get everyone together. The children had a lovely time, they are all excited waiting for Santa to arrive so it's good to get out for the day and keep them busy. 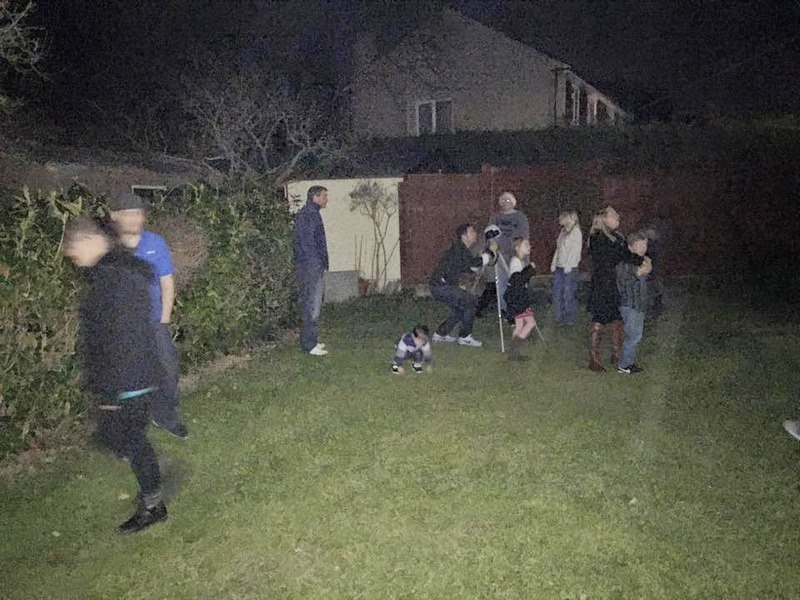 Eight adults and ten children made for a fab Christmas Eve. I think we had enough pizza??!! 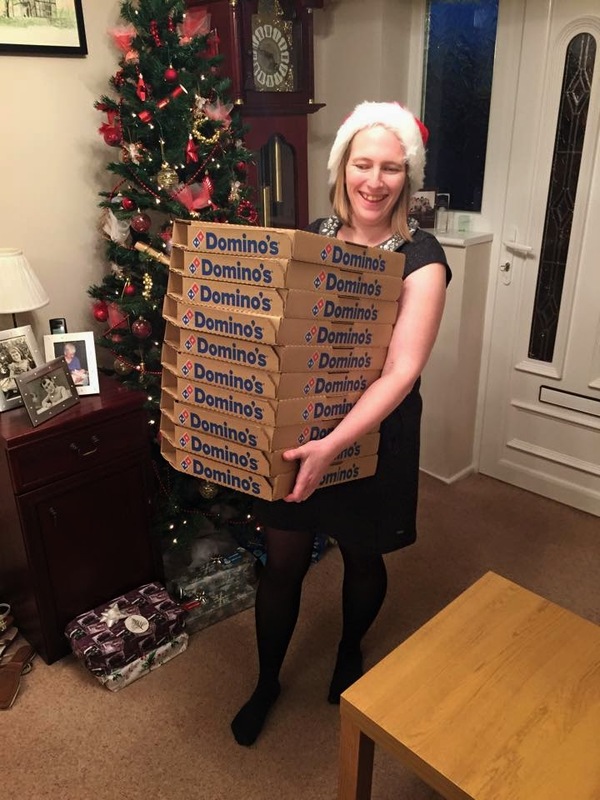 Mum Of Five recreating the Home Alone pizza scene! 'Who ate all the cheese pizza'??! The children are in new pyjamas, they've put out a mince pie and a drink for Santa and a carrot for Rudolph. We are watching festive films on the TV and they are going to bed very soon. 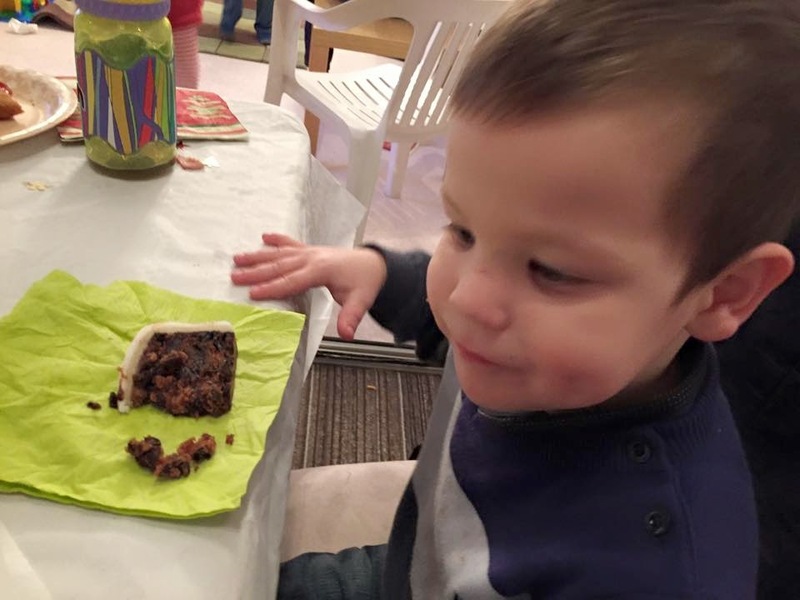 Enjoying a slice of Christmas cake made by Uncle Dave. Thing 5 gave it a big thumbs up. We would like to say Merry Christmas to everyone and sending warm wishes from us all. 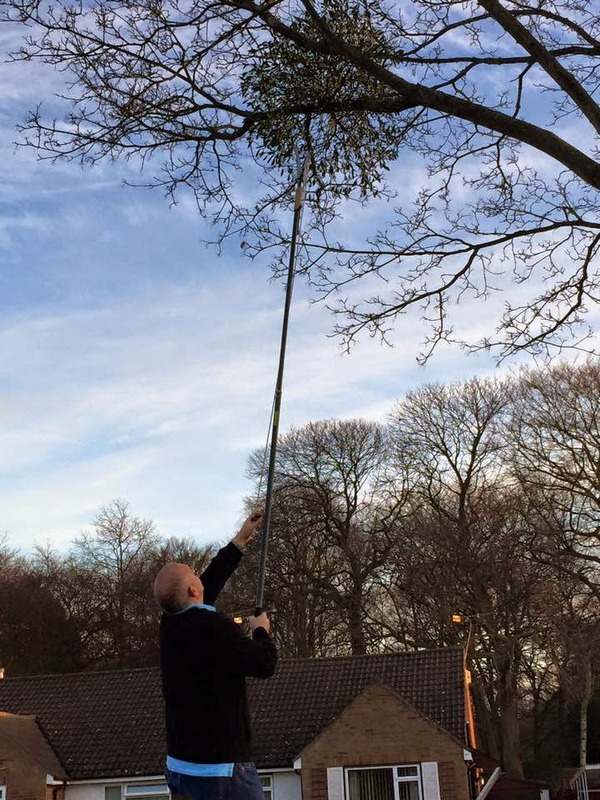 P.S; Pappy Staying Sane spotted some mistletoe growing in the tree outside their house, a team effort from the men failed to reach it and get some from the tree! Sorry men of the family, better luck next year! Hoping for a Christmas kiss!